Our range of Vinyl Kettlebells is suitable for beginners to Kettlebell training. Strengthen and tone your entire body with the original Russian Kettlebell. Kettlebell training is ideal for total body workouts and is also very effective at burning body fat. This training method has been around for centuries, and for a good reason...it works! 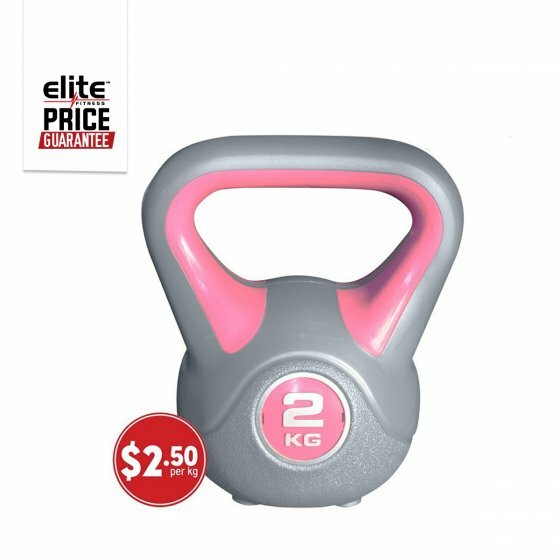 Our range of Vinyl Kettlebells features a durable design with a bigger, rounded handle for easier hand grip and a wider base that provides better support for different exercises.